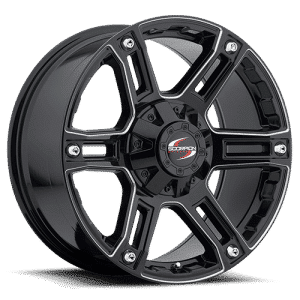 Make your truck look as tough and awesome as possible with these gloss-black wheels with spikes! 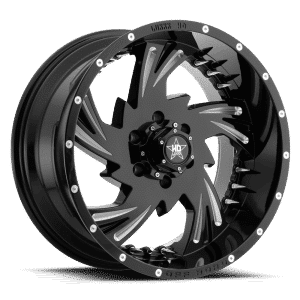 Luxxx HD makes incredibly strong and eye-catching off-road wheels that will set your truck or SUV apart from the pack. 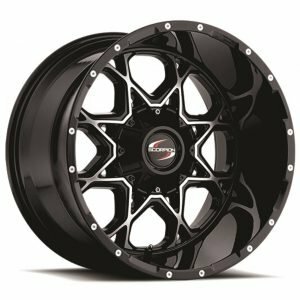 These 20” wheels are warrantied against problems with the finish for a year, and manufacturing defects for life. 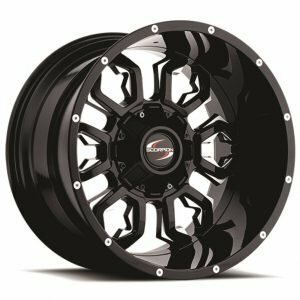 Accent your off-road vehicle with these wheels to make a real statement about how much you care for your truck. 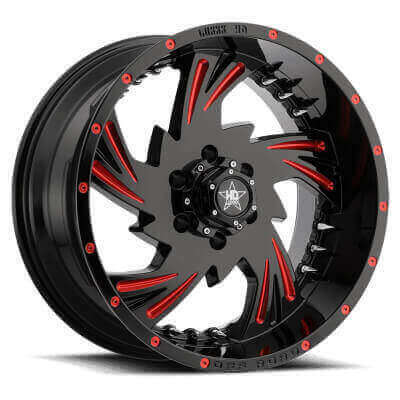 You can’t ask for a wheel that looks more cool than the Luxxx HD 20 x 10 gloss-black red-milled wheels with spikes! 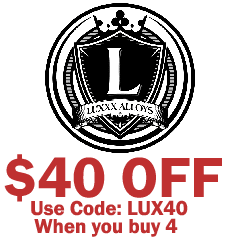 While the design is subtle, it’s also extremely tough and dynamic. The closer people get, the more they’ll see what will make them jealous!